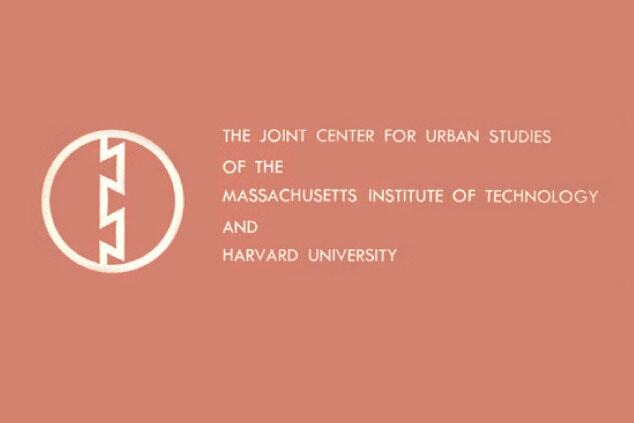 The Joint Center for Housing Studies was originally formed in 1959 as the Joint Center for Urban Studies of MIT and Harvard, and took up the challenge of addressing intellectual and policy issues confronting a nation experiencing widespread demographic, economic and social changes, with dramatic and far-reaching effects on cities in particular. With principal support from the Ford Foundation, the research agenda was based on the premise that the resolution of these issues called for imaginative interdisciplinary approaches to the study of urban problems and issues and required cooperation among universities, government and industry. During the decade after its inception, when urban studies programs were not yet established at Harvard or MIT, the Center concentrated on building a bridge between multidisciplinary research and policy applications. Research activities were deliberately flexible and exploratory. In the 1970s, the Center consolidated its research around a core of subjects related to housing. Its analysis of U.S. housing policy reflected the national debate over the government’s responsibility to ensure a decent home and suitable living environment for all its citizens. Early in this period, the Center recognized the need to supplement housing analysis with research in related fields, and with input from outside the academy, in the form of partnerships with public, private, and not-for-profit entities. The Policy Advisory Board (PAB) of the Joint Center for Housing Studies was formed in 1971--- under the guidance of John T. Dunlop, former United States Secretary of Labor and then Dean of the Harvard Faculty of Arts and Sciences--- to bring together a diverse group of leading firms and organizations with interests and influence in the housing sector. The PAB continues to play a critical role in identifying emerging issues and trends and joins our commitment to advancing housing as a national priority. By 1975, research in regional and urban economies, demographic trends, and social policy had been integrated into the program, and during the 1980s the Center underwent a variety of institutional changes. In 1985, the Joint Center for Urban Studies officially became the Joint Center for Housing Studies. In 1989, the Center evolved into a unit based solely at Harvard and jointly affiliated with the Graduate School of Design and the Harvard Kennedy School. In 1988, the Center launched its signature report The State of the Nation’s Housing, which continues to provide a widely-referenced annual assessment of housing markets, homeownership, and affordability challenges. Since 1998, the Center has expanded its programs of research and convenings to address emerging issues in remodeling markets, rental housing, and housing finance, and has been at the forefront of national policy discussions concerning mortgage and consumer lending and the foreclosure crisis. In contrast to the Center of several decades ago, the Joint Center for Housing Studies is institutionally smaller, yet more connected to national and international networks as we investigate and illuminate housing’s critical role in the economy and in communities. We continue to foster strong academic ties with schools, faculty, and students from across the university community, and to engage with new initiatives on global urbanism, sustainability, and other critical topics for the 21st century. Most importantly, our work continues to serve as a resource for scholars, public and private sector leaders, housing practitioners, and policymakers.